15mm sound driver for exceptional bass. Sturdy braided cable which prevents breakage and is purposeful for rough & tough usage. 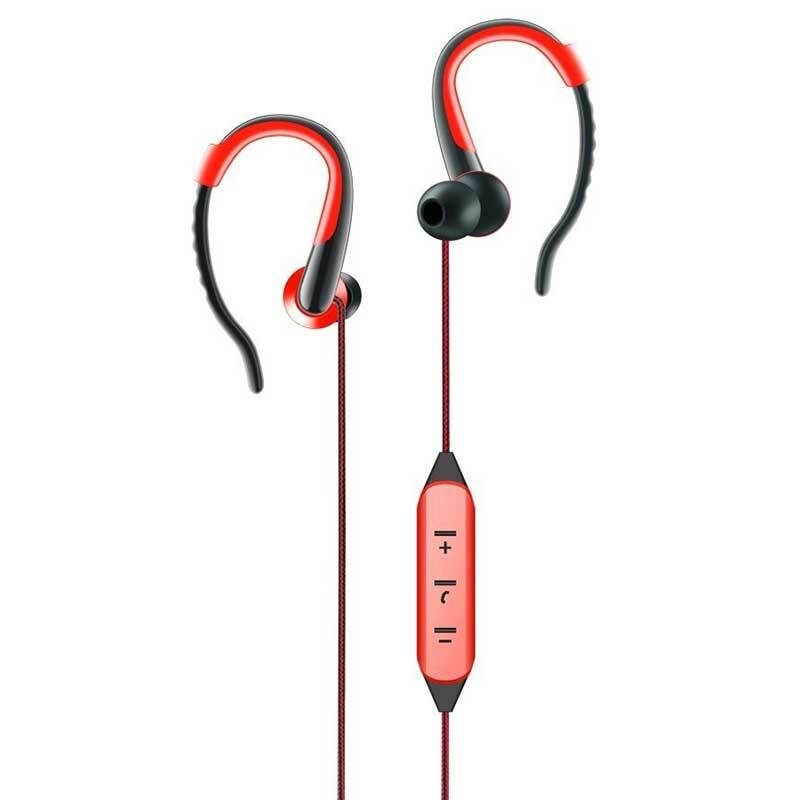 Over ear arch design helps to keep the earphones lodged in place during physical activity and are ergonomically designed for a perfect fit. Easy pairing and is compatible with all Bluetooth enabled devices.